The word "tulip" recalls one of the strangest popular follies that has ever been seen in the world, which showed itself in Holland toward the middle of the seventeenth century. The country at that time had reached the height of prosperity; antique parsimony had given place to luxury; the houses of the wealthy, very modest at the beginning of the century, were transformed into little palaces; velvet, silk, and pearls replaced the patriarchal simplicity of the ancient costume; Holland had become vain, ambitious, and prodigal. After having filled their houses with pictures, hangings, porcelain, and precious objects from all the countries of Europe and Asia, the rich merchants of the large Dutch cities began to spend considerable sums in ornamenting their gardens with tulips - the flower which answers best to that innate avidity for vivid colors which the Dutch people manifest in so many ways. 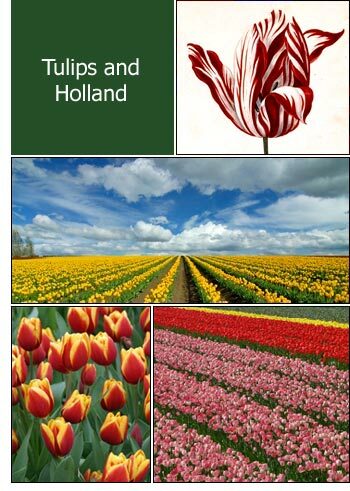 This taste for tulips promoted their rapid cultivation; everywhere gardens were laid out, studies promoted, new varieties of the favorite flower sought for. In a short time the fever became general; on every side there swarmed unknown tulips, of strange forms, and wonderful shades or combinations of colors, full of contrasts, caprices, and surprises. Prices rose in a marvelous way; a new variegation, a new form, obtained in those blest leaves was an event, a fortune. Thousands of persons gave themselves up to the study with the fury of insanity; all over the country nothing was talked of but petals; bulbs, colors, vases, seeds. The mania grew to such a pass that all Europe was laughing at it. Bulbs of the favorite tulips of the rarer varieties rose to fabulous prices; some constituted a fortune; like a house, an orchard, or a mill; one bulb was equivalent to a dowry for the daughter of a rich family; for one bulb were given, in I know not what city, two carts of grain, four carts of barley, four oxen, twelve sheep, two casks of wine, four casks of beer, a thousand pounds of cheese, a complete dress, and silver goblet. Another bulb of a tulip named "Semper Augustus" was bought at the price of thirteen thousand florins. A bulb of the "Admiral Enkhuysen" tulip cost two thousand dollars. One day there were only two bulbs of the "Semper Augustus" left in Holland, one at Amsterdam and the other at Haarlem, and for one of them there were offered, and refused, four thousand six hundred florins, a splendid coach, and a pair of gray horses with beautiful harness. Another offered twelve acres of land, and he also was refused. On the registers of Alkmaar it is recorded that in 1637 there were sold in that city, at public auction, one hundred and twenty tulips for the benefit of the orphanage, and that the sale produced one hundred and eighty thousand francs. Then they began to traffic in tulips, as in State bonds and shares. They sold for enormous sums bulbs which they did not possess, engaging to provide them for a certain day; and in this way a traffic was carried on for a much larger number of tulips than the whole of Holland could furnish. It is related that one Dutch town sold twenty millions of francs' worth of tulips, and that an Amsterdam merchant gained in this trade more than 86,000 florins in the space of four months. These sold that which they had not, and those that which they never could have; the market passed from hand to hand, the differences were paid, and the flowers for and by which so many people were ruined or enriched, flourished only in the imagination of the traffickers. Finally matters arrived at such a pass that, many buyers having refused to pay the sums agreed upon, and contests and disorders following, the government decreed that these debts should be considered as ordinary obligations, and that payment should be exacted in the usual legal manner; then prices fell suddenly, as low as 50 florins for the "Semper Augustus," and the scandalous traffic ceased. Now the culture of flowers is no longer a mania, but is carried on for love of them, and Holland is the principal temple. She still provides a great part of Europe and North & South America with flowers. The country is encircled by gardens, which, toward the end of April and the beginning of May, are covered with myriads of tulips, hyacinths, carnations, auriculas, anemones, ranunculuses, camelias, primroses, and other flowers. Of late years the hyacinth has risen into great honor; but the tulip is still king of the gardens, and Holland's supreme affection. I should have to change my pen for the brush of Van der Huysem or Menedoz, if I were to attempt to describe the pomp of their gorgeous, luxuriant, dazzling colors, which, if the sensation given to the eye may be likened to that of the ear, might be said to resemble a shout of joyous laughter or a cry of love in the green silence of the garden; affecting one like the loud music of a festival. There are to be seen the "Duke of Toll" tulip, the tulips called "simple precocious" in more than six hundred varieties; the "double precocious"; the late tulips, divided into unicolored, fine, superfine, and rectified; the fine, subdivided into violet, rose, and striped; then the monsters or parrots, the hybrids, the thieves; classified into a thousand orders of nobility and elegance; tinted with all the shades of color conceivable to the human mind: spotted, speckled, striped, edged, variegated, with leaves fringed, waved, festooned; decorated with gold and silver medals; distinguished by names of generals, painters, birds, rivers, poets, cities, queens, and a thousand loving and bold adjectives, which recall their metamorphoses, their adventures, and their triumphs, and leave in the mind a sweet confusion of beautiful images and pleasant thoughts.